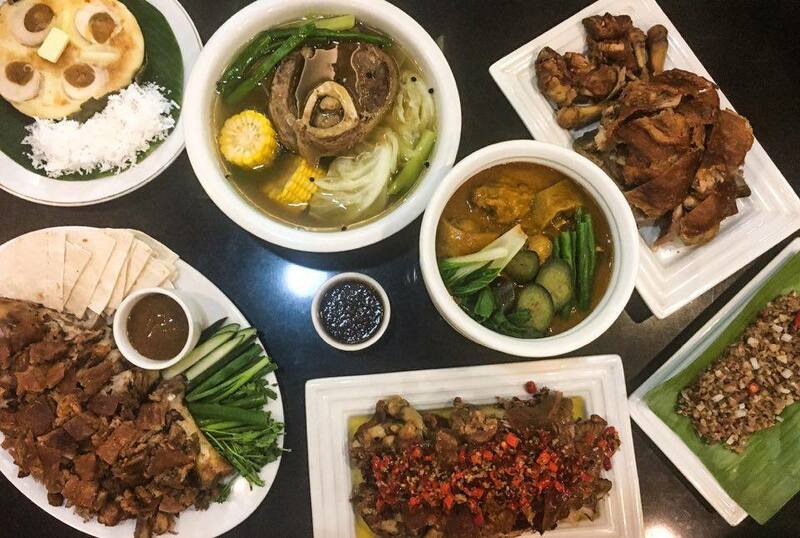 “Mangan” is a Kapampangan word that means “Let’s eat!” From the name of Mangan Restaurant itself, the restaurant is inviting Filipinos to savor traditional and home cooked Kapampangan cuisine in the metro. Mangan Restaurant has a contemporary interior design that adapts to the current mainstream. Mangan wants each of their guest to feel the elegance of present-day restaurants while dining traditional home cooked Filipinos comfort food. Mangan serves a la carte, platter and set menu. Guests can start their Mangan Restaurant banquet with Pancit Pusit. Pansit Pusit is not the typical pansit that you grow up with. 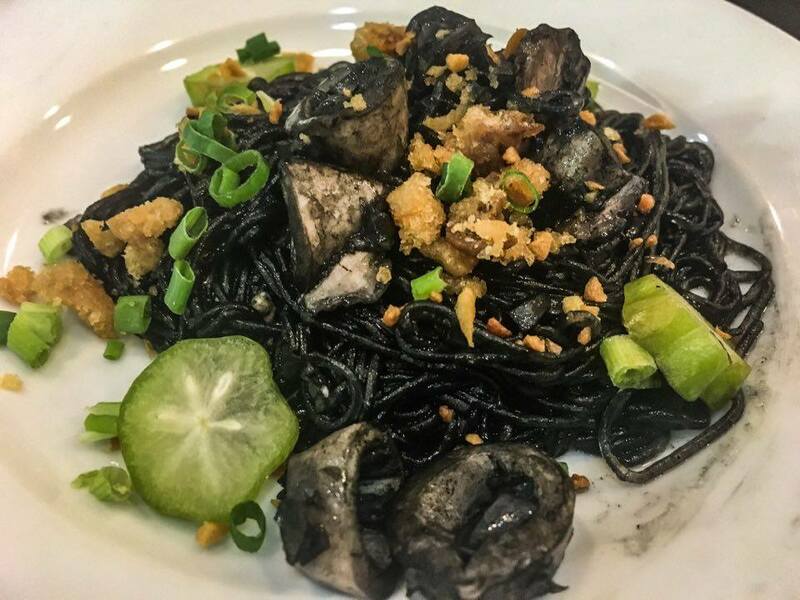 It is a squid ink pasta with chunks of squid and al dented noodles. It is also a must that the banquet includes Kare-Kare, Pinakbet with Lechon Kawali and Sisig ni Mely or pork sisig. 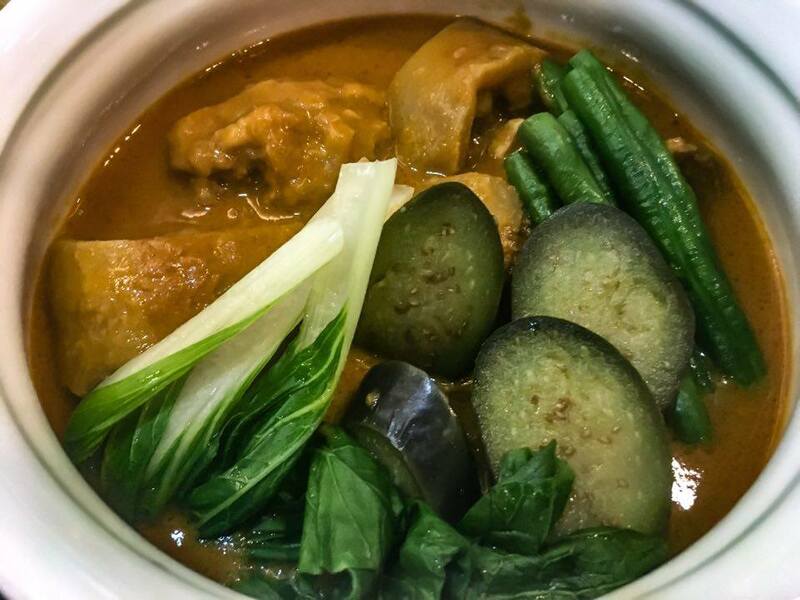 Mangan’s Kare-Kare has fresh “pechay” or Chinese cabbage, sliced eggplant, green beans, “tuwalya ng baka” or tripe, tender beef and rich peanut butter sauce. 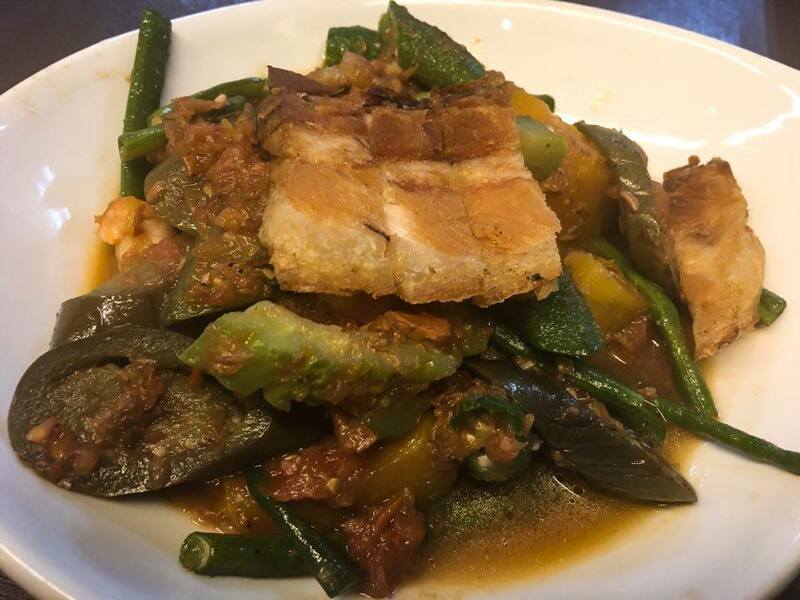 Pinakbet with lechon kawali has sliced “ampalaya” or bitter melon, eggplant, green beans, okra and squash in shrimp paste sauce and topped with lechon kawali. 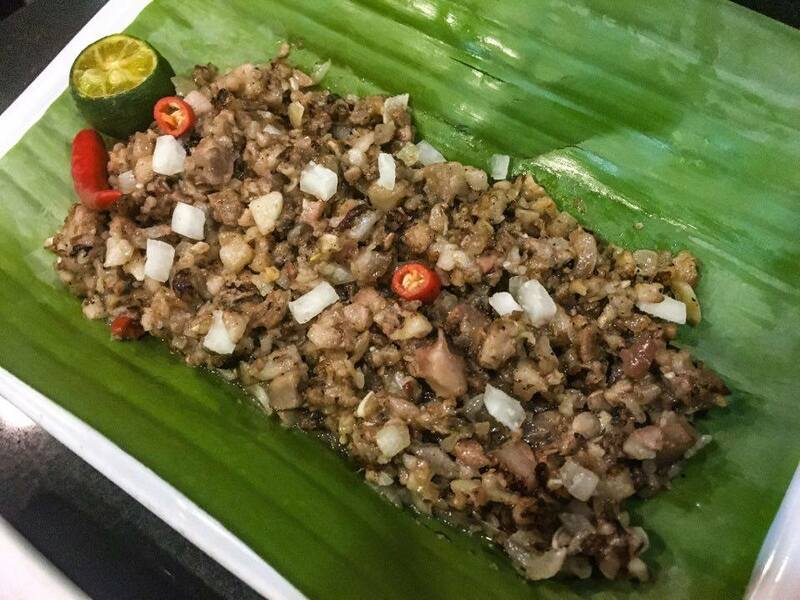 Sisig ni Mely or Pork Sisig, on the other hand, incorporate the rich kapampangan flavors of pork sisig. 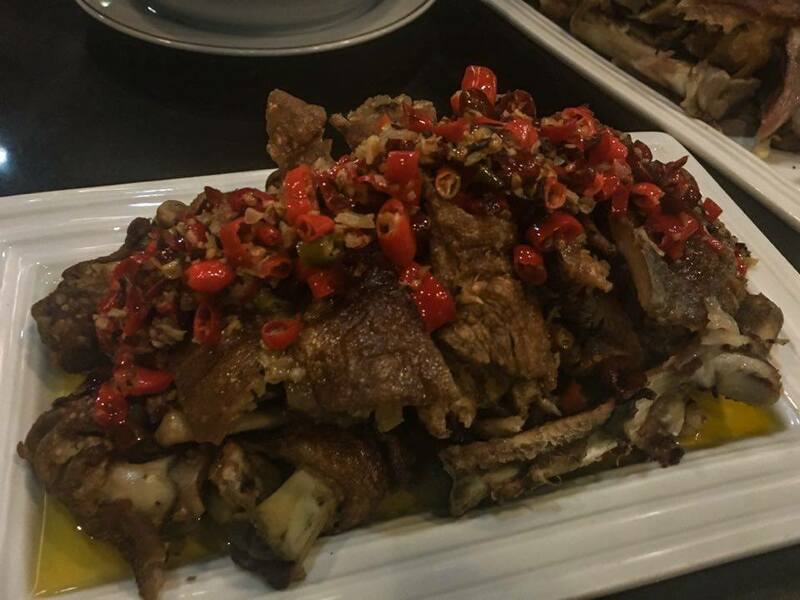 Along with this dishes, Mangan also offers Crispy Pata in three ways- Crispy Pata, Patang Demonyo and Prichon Pata. For those who love spicy dishes, Patang Demonyo is perfect for you. It is perfectly seasoned, spicy and has crispy skin and tender meat. 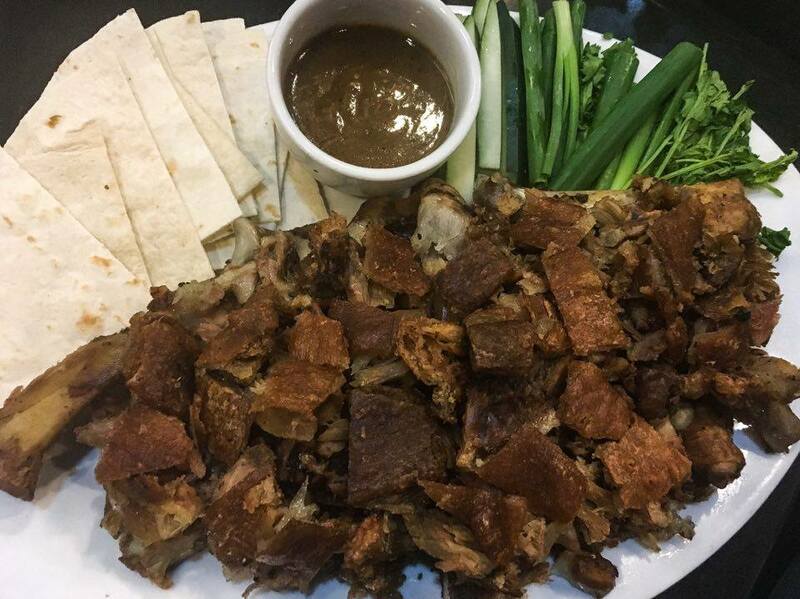 Prichon Pata is served with sliced Crispy Pata, sliced vegetables, pita bread and liver sauce. 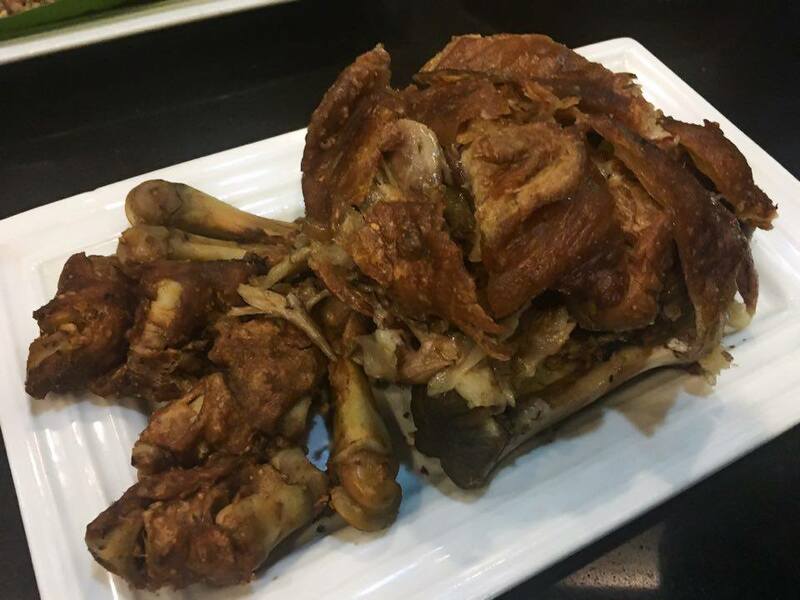 This dish is a new approach in savoring Crispy Pata and we can confidently say that this is a MUST TRY. For desserts, Mangan serves “merienda” or light meal like Bibingka and Puto Bumbong. 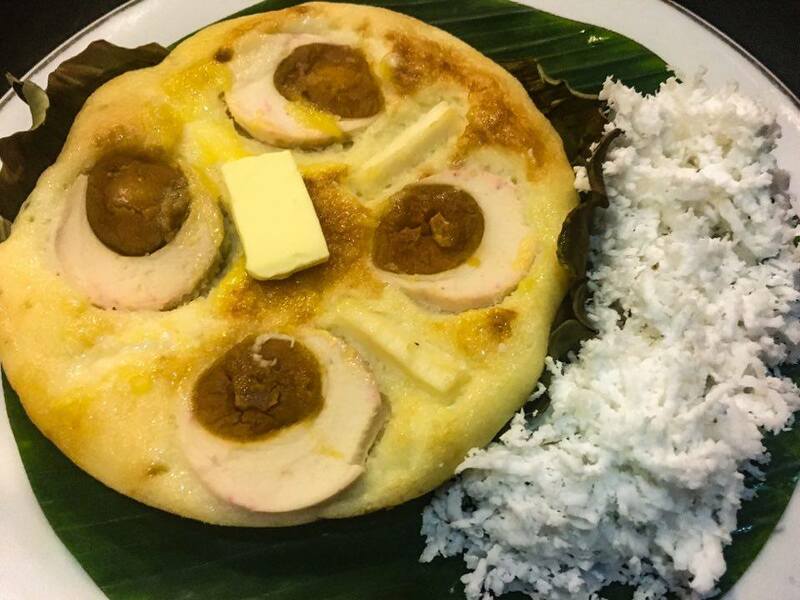 Mangan's Bibingka is a rice cake topped with white cheese and slices of salted eggs. It is served with grated coconut meat that can be eaten along with the rice cake. 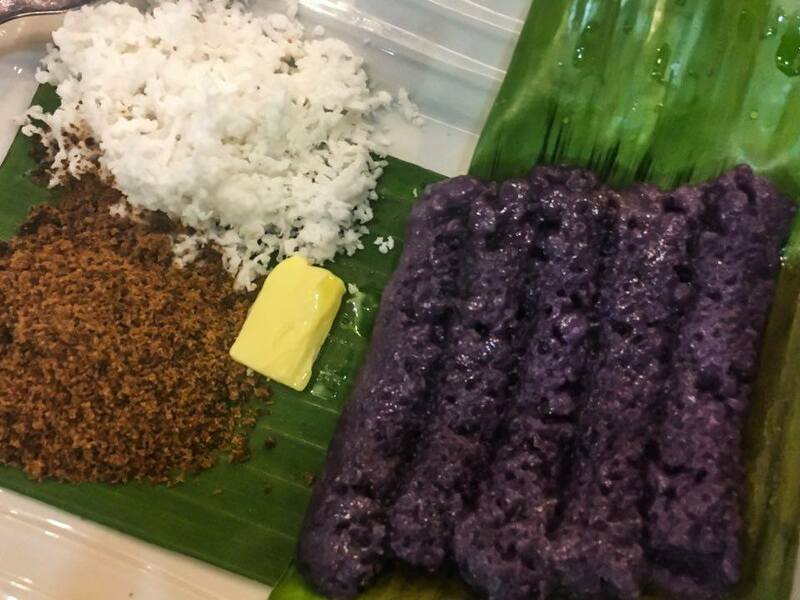 While the Puto Bumbong is served with butter, brown sugar and grated coconut meat. Unlike the usual Puto Bumbong that we grew up with, Mangan’s Puto Bumbong is chewy.